Legal Kentucky Derby betting has long served to be the most high-stakes event for horse racing fans and pari-mutuel bettors across the world. Legendary horses have participated in this event and the potential profitability of this race alone attracts bettors who wouldn’t normally tune in to watch the ponies. Even though legalized sports betting has begun to spread across the country, gambling on horses has stood the test of time, with many states hosting their own racetracks with simulcast wagering opportunities for their guests. However, most of these tracks require you to attend them in order to bet on the race and booking a trip to Churchill Downs to watch the event in Kentucky may prove to be too costly. Thankfully, betting on this leg of the Triple Crown online provides a safe and legal way to still be apart of the action. Online racebooks will keep up with all of the latest odds and offer wagering types such as straight bets and will even offer exotic bets such as perfectas, trifectas, and superfectas. While many of the best online racebooks operate outside of the US, there are also horse race betting websites that operate domestically as well, giving bettors a plethora of options for legal Kentucky Derby betting. 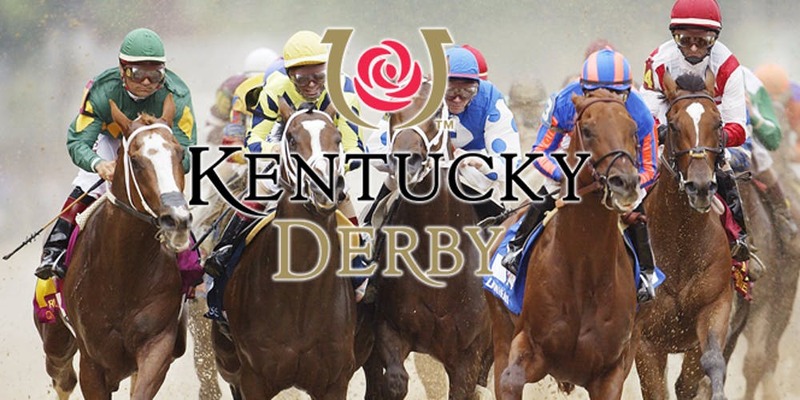 We’ll go over the legality of betting on this race, as well as discuss what the current odds for the 2019 Kentucky Derby are and explain what each major wagering type means. The current odds for the 2019 Kentucky Derby shouldn’t surprise those who have been keeping up with the races leading up to the event. However, the sooner you place your bet the better. The race is fast approaching with a date set for May 4, 2019, and will be traditionally hosted at the Churchill Downs race track in Louisville, Kentucky. While there are many festivities planned for that day, the races will officially take place at 6:50 pm. The race itself is said to be “the most exciting two minutes in sports” so you’ll want to lock in your bets and make sure you tune into NBC to watch the action. The Road to the Kentucky Derby has given some indication as to which horses to bet on but may not give the full picture. As of now the leading horse with the most points is Tacitus with 150, followed by Vekoma with 110, Plus Que Parfait with 104, and the following three horses tied at exactly 100 points. However, the online racebook at Bovada has the horses Game Winner, Improbable, and Roadster as the favorites to win, listing them at +700 betting odds. Tacitus and Omaha Beach follow them at +1200 betting odds to win the Kentucky Derby. These odds may change in the coming days leading up to the race so we will update these numbers accordingly. Is It Legal To Bet On The Kentucky Derby? Yes, and depending on where you live, the avenues to legal Kentucky Derby betting may differ. For states with horse wagering officially on the books, most residents will have to go to their local horse racing track where they will provide simulcast racing betting. There are also states that will permit you to use online racebooks that operate from within the US. However, there are certain states such as that have neither of these two options. That doesn’t mean that residents of those states don’t like to bet on the ponies. If you happen to fall in that predicament you should know that there is one avenue you can take that is legal across the US and that is to simply use an online offshore betting site. These websites fall outside of both state and federal jurisdiction and offer all the latest odds for horse races year-round. These are by far the safest option for placing a wager on the Kentucky Derby if you are not sure of your state’s horse racing laws. Betting on the Kentucky Derby has a long and storied tradition. Founded by Colonel Meriwether Lewis Clark Jr., grandson of William Clark of the famous Lewis and Clark Expedition, the race has been held on the first Saturday of May since the year 1875. It is the first leg of what’s known as the Triple Crown. The other two races as part of the Triple Crown are the Preakness and Belmont Stakes, however, the Kentucky Derby usually boasts the highest attendance every year. And while the event is kicked-off with the Kentucky Derby festival which lasts two weeks, the race itself tends to last only two minutes. Most people who attend are betting on the Kentucky Derby through either a straight bet or an exotic bet, both of which can pay out in high amounts. To add to this, in order to join these bettors, you don’t have to wager that much and you don’t have to be that old. Wagers can be made for as little as one dollar through online offshore racebooks, and the legal age to bet on horses in most states is only 18. While many people who plan on tuning into the race this year are familiar with how the different wagering types work, first-time viewers may get confused on how to bet on the 2019 Kentucky Derby. This is why we’ve broken down the most popular forms of pari-mutuel wagers below into either straight bets or exotic bets. These Kentucky Derby Horse bet types will be available whether you’re at Churchill Downs watching the ponies live or using a third-party betting service. Win – This is arguably the simplest type of bet. You’re simply selecting which horse will finish in first place. These will pay the highest amount of all the different straight bets. Place – If the horse you choose finishes in either first place or second place you’d be able to cash in on this bet. Show – If you choose a horse and it finished in either first, second, or third, you’d have a winning bet. Because this type of bet is easier to hit then the other straight bets, the payouts will be lower. Across The Board – This is a bit of a combination of all three straight bets. With a bet across the board, if the horse you choose finishes in first then you win all three bets. If your horse gets second place then you’ll win on both the place and show bet. And if your horse gets in third place then you’ll simply win the show bet. Exacta – In this case, you will be betting on two horses within a single race. If they place in first an second in the exact order you chose them then you’ll win the bet. Trifecta – This is very similar to the exacta bet except with this you would have to bet on three horses and they would have to place first, second, and third in exact order. Superfecta – This is only adding to the previous two exotic bets. You’d have to pick four horses and they would have to place first, second, third, and fourth in exact order. This is one of the most profitable wagering types. Pick 3 – This is simply an addition to the daily double. If you choose a horse and they finish first on three consecutive races then you’d win the bet. You’d have to place the bet before the first race. 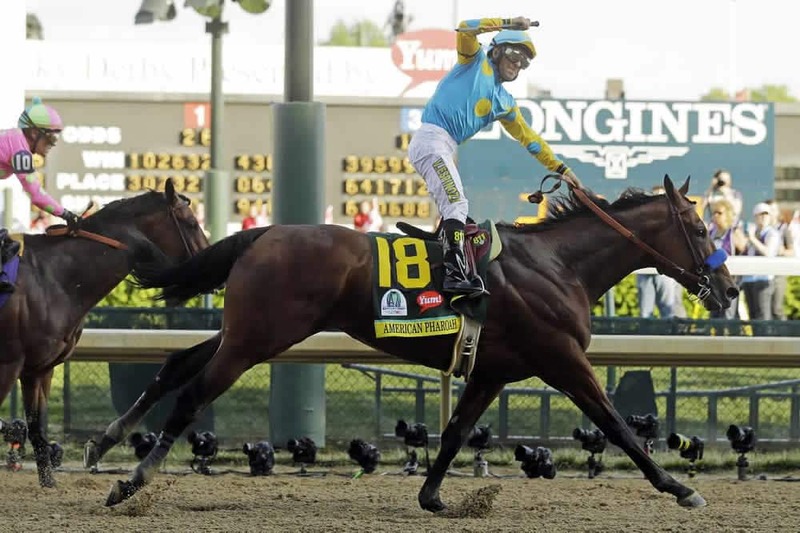 Past Kentucky Derby winners ultimately cement their name into the history of the sport. After their career is over they are highly sought out for breeding because of their championship pedigree. During the 1970s there were three horses that won the Kentucky Derby and then ultimately went on to win the Triple crown including Affirmed in 1978, Seattle Slew in 1977, and the famous Secretariat in 1973. Over 35 years had to pass before American Pharaoh was able to achieve that same success in 2015. And even more recently, last year saw the likes of Justify, who was able to complete the Kentucky Derby in two minutes and four seconds before going on to win the next two legs of the Triple Crown. However, Justify will not be competing in the 2019 Kentucky Derby, so in order to predict the winner of this year’s race, you will have to choose a new horse to possibly join the ranks of these legendary ponies.